In the building industry, there are several different types of homebuilders. Often, the terms custom homebuilder, tract home builder and spec home builder are used, so it’s difficult to understand what type of builder you need for your home or project. Below, are some thoughts on the differences between builders.. Custom Home Builders are generally small-volume builders and build one-of-a-kind houses on your land. They may offer design/build services or just general contracting services. They tend to build luxury features in homes, such as taller ceiling height and larger doors and room sizes. The homebuyer can make big changes, like adding another garage, a variety of custom rooms and additional bathrooms. 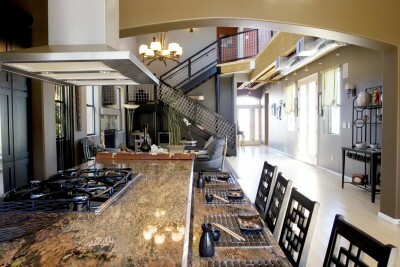 Building a custom home provides possibilities to create a home that truly fits your lifestyle. A custom home might be a very large, medium or even a small sized home. It could be very standard in many ways but still be a custom home. People often think of a custom home as being an elaborate large mansion, while that can be the case, both a large estate and a small house could be custom homes. Generally, the homeowner, homebuilder and architect decide on variables for the home that will make it different from other homes. It will usually be customized to the new owner’s tastes and desires for amenities, features, size, creative touches, and style. As an example, a popular trend today are small custom homes for baby boomers to “age in place” allowing for features that will accommodate disabilities in their future. Custom homes are simply a site-specific home built from a unique set of plans for a specific client. It may sell during the course of construction, in which case, the homebuyer may be able to choose many of the finishes, however the builder, rather than the homebuyer determined the “floor plan” before breaking ground. Spec homes are not always large custom homes. Oftentimes, the home is a small or medium sized home with custom features and styles. A spec home could be a very plain home or it could be a large, luxury, decorated mansion. Either way, if the builder bought the land and is building it specifically to sell, it would be thought of as a spec home. Tract or Production Home builders are developers or builders who own a large plot (tract) of land, which is divided into numerous smaller lots for “stock plan homes” to be built on. A Tract or Production builder generally has model homes that will be the home designs built on these lots. Generally, there is not a lot of opportunity to make changes to these homes. Tract builders are large-volume builders and build all types of housing. Single-family, condominiums, town houses and condominiums are a few properties types. The faster the properties, the faster they try to keep building to keep up with demand. There is usually little doubt about what type of house will be built next door, and the sub-division will probably build out quickly. These homes are built with price-point as a major consideration, so quality can be compromised. Elements like hardware cabinets and appliances are the more obvious areas where money may have been saved. Other areas might include framing components, paint grades, shingles and carpet grade to mention a few. If someone isn’t familiar with construction methods and materials, these components are not obvious to the typical buyer. Tract homes may be comparatively inexpensive and not well suited for a short-term investment. Resale value is the greatest disadvantage to a tract home. There is enormous competition when selling a tract home. Price is usually about the only thing that makes one more appealing than another identical house down the street. Custom Home Building – Having a custom home built is very exciting! What’s Wrong With Competitive Building?